BCG is a vaccine used to prevent tuberculosis (TB), but it’s also an effective treatment for some non-invasive bladder cancers. It’s given directly into the bladder (intravesical). Carcinoma in situ (CIS) – This can’t usually be removed completely with surgery because it’s flat and often widespread in the bladder lining. Ta and T1 cancers that are grade 3 (high-grade). T1 cancers that are grade 2 and larger than 3cm (1in) across OR when there are several tumours in the bladder. You’ll usually have your treatment with BCG weekly for six weeks, followed by a six-week break, and then once a week for 1-3 weeks. When you’re lying down and comfortable, the nurse will put a fine tube (catheter) into your bladder. The BCG is then put directly into your bladder through the catheter. For the first 15 minutes you’ll have to lie on your front, but after that you can get up and walk around. You need to try not to pass urine for two hours afterwards. This can be difficult but the aim is to give the BCG treatment time to work. Sometimes the catheter is left in and clamped to keep the drug in your bladder for the next two hours. 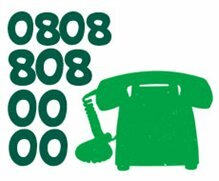 For answers, support or just a chat, call the Macmillan Support Line free* (Monday to Friday, 9am-8pm). If you have any questions about cancer, need support or just want someone to talk to, ask Macmillan. This entry was posted in Cancer, Cryoablation, Kidney Cancer, Magnetic resonance imaging, Surgery, Tumour and tagged BCG, Bladder Cancer, GL-W, Greg Lance-Watkins, Greg_L-W. Bookmark the permalink.